Guadeloupe, a Caribbean island group located in the French West Indies, draws its culinary influences from France, India, and Africa. 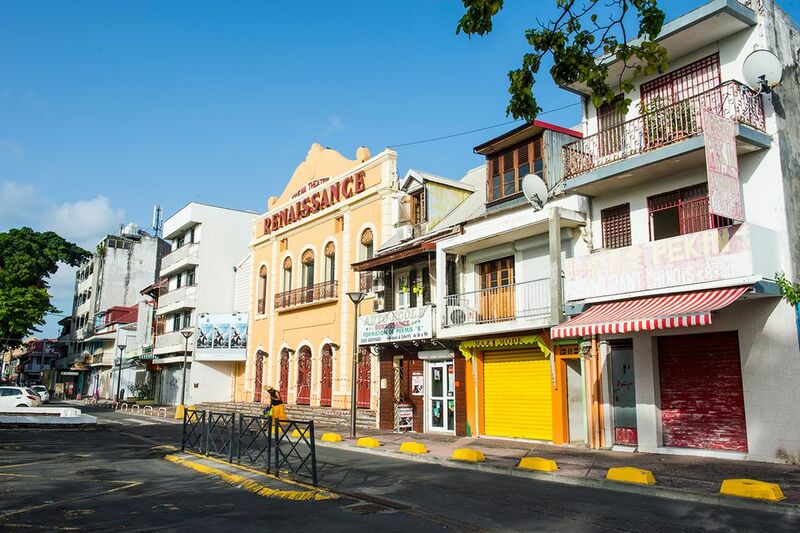 Due, in part, to direct flights to Guadeloupe from smaller areas of France, the country receives considerable attention from the foodie world for its unique mix of Creole delicacies, Caribbean staples, and French classics. A stop at one of Guadeloupe's famous markets is a must-do, and fresh juice —sold primarily at these markets — is definitely a must-drink. Guadeloupe has access to many tropical fruits, and this is one of the best ways to enjoy everything from papaya to melon to banana. Most stands offer eight to 10 varieties of thick, pulpy, homemade juice that taste way better than anything you’ll find in a grocery store. Some sellers even offer their own unique blends (think papaya-pineapple) that you’ll be yearning for long after your vacation ends. A popular lunch and late-night option, you’ll find two pieces of deep-fried “bread” stuffed with meats, cheeses, and drizzled with a vinegar-based sauce. Many stands offer their own special twist, from spicy mayo made with curry powder to local fresh fish. Despite the low price, expect very large portions. Guadeloupe, like many other Caribbean islands, is dotted with rum distilleries, and you’d be remiss if you left without a taste of this easy-to-drink specialty. At nearly any of Guadeloupe’s nine distilleries (Longueteau on Basse-Terre is a popular choice) and every bar, you’ll find Ti' Punch, a rum-based specialty of the French Antilles. While you can indulge in pina coladas and mojitos galore, it’s the Ti’ Punch that the locals order. To really appreciate this drink, you need a very smooth rum — it’s the only ingredient besides cane sugar and lime juice. But be careful. The spirit is often of a much higher proof than you’ll find elsewhere in the world. Even if you don’t consider yourself a rum drinker, a sip of Ti’ Punch may turn you into one. A Caribbean classic in the same vein as the bokit, accras are a fried fritter sold as a snack at daily markets and as a starter at restaurants. Typically filled with cod, lobster, or shrimp, flavorful accras, have a strong African influence. A bag of eight will run you cheap at most street carts. While they’re delicious by themselves, most restaurants serve them with a side of spicy sauce to sweeten the deal. Though much of Guadeloupe cuisine centers around fish, this option can be totally vegetarian — many accra stands also offer an eggplant version. Fish is one of the mainstays of Guadeloupe's economy; whether you’re strolling a daily market, popping by a food stand for lunch or sitting down to a fancy dinner, you’ll undoubtedly find an array of fresh catches. Easy access to the sea means you are pretty much guaranteed fish that was caught only hours before. From grilled mahi-mahi to stuffed conch to land crab, indulge in the local seafood throughout your trip. Many prix fixe options include Caribbean lobster, a spinier (and slightly uglier, but just as tasty) variant of its relatives in Maine. Don’t leave the country without ordering one grilled and smothered in butter. For a fancy dinner out, Le Zawag in Le Gosier offers a variety of fresh fish and shellfish with a beautiful setting to boot. Known as Colombo in the French Antilles, this Creole dish is more reminiscent of a stew than a typical curry. In the 19th century, Sri Lankan immigrants came to Guadeloupe (and its sister island, Martinique) to work on sugar plantations and brought along recipes from their homeland. Colombo powder, a mix of cumin, turmeric, coriander, and cloves, is tossed with vegetables and meat or seafood and is a mainstay of Guadeloupe’s French Creole cuisine. At Le Ti Maki in Le Gosier, the dish is served over rice with sweet plantains. Ask for mild if you’re heat-averse. Locals take full advantage of Guadeloupe’s ample supply of coconuts, adding it to drinks, desserts, and breakfast fare. One of the best ways to really enjoy this island favorite is in its frozen form. Like many cuisine staples, you can find sorbet coco at outdoor markets and near beaches, where locals churn the sorbet to order, hand-cranking it into a light paste. Made with coconut and condensed milk, sorbet coco has hints of nutmeg and cinnamon and tastes more like gelato than sorbet. A cup will run you cheap and tastes so fresh, you may be able to convince yourself it’s totally fine to eat for breakfast.